June 12, 2017 May 19, 2017 / Julie Brook, Esq. Both the opening statement and the closing argument should be used to persuade. 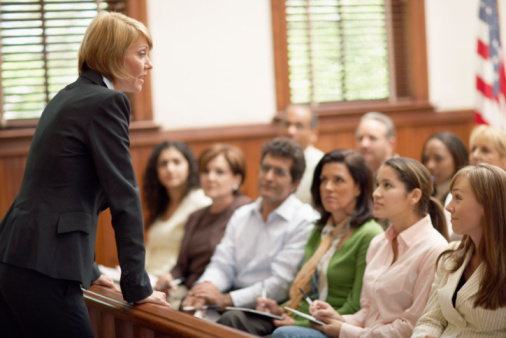 An essential part of the persuasion process is establishing your credibility with the jury by nurturing its perception of your sincerity, trustworthiness, and knowledge of facts. Here are four ways to increase your credibility. Use of simple language. Make every effort to reduce a complex topic to its essential elements, or, if that’s not possible, through description and explanation using common words. You can attain simplicity by attributing human qualities to animals or inanimate nature for purposes of analogy, or by using references to children or personal memories. Give the impression of modesty. You can achieve this by implying your own limited powers or failings or by making proper attribution to others: “I would like to say that I will be conducting the great bulk of the trial. Mr. Mills may examine some of the witnesses. I don’t want you to think, however, that he has not contributed much to this case during the last four and one-half years that we have been working on it. He has done a lot of legal research and worked diligently…” You can also invoke your modest role by comparing yourself to the average person or insisting that you didn’t want to file suit but was forced to by the enormity of defendant’s conduct. Appear spontaneous. Language expressing amazement at what the opposition has done or the fact that counsel is angry creates this effect: “I get a little upset when I realize that Trustee Title tried to prevent Mr. and Mrs. Pearce from getting what they had coming under the insurance policy. That’s what it amounted to. So when testimony is presented that is either conflicting or false, it’s an attempt by the insurance company to deny a payment to Mr. and Mrs. Pearce that they have coming. And that’s why it angers me.” Seeming to say something on the spur of the moment creates a natural, spontaneous style that connotes sincerity, as does the abrupt halt to an animated sentence. 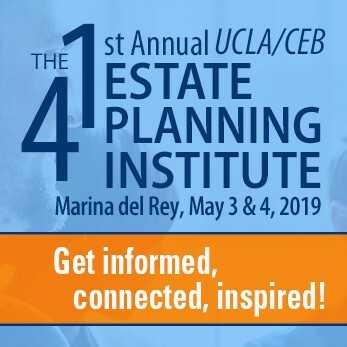 This is just some of the expert advice on the practical aspects of preparing and presenting statements and arguments you’ll find in CEB’s book Persuasive Opening Statements and Closing Arguments, chap 2 and CLE program of the same name. ← Do You Have Time to Take a Judgment Enforcement Case? Though I agree with each of the identified attributes; and appreciate that others have may have more trial experience than I, I would simply add that to appear to be sincere (in each of these instances) one has to actually be sincere. Unless you are a very good actor affecting sincerity when you are not is the first and fastest way to turn off a jury.